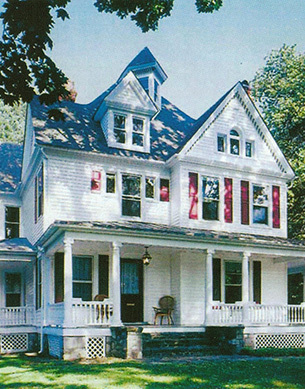 Connecticut Roofing - Connecticut Siding - Connecticut Windows | Alcraft, INC.
materials for you to choose from. of styles and complementary colors. that design custom products for each job. Let us make your home the home of your dreams. LET US MAKE YOUR HOME THE HOME OF YOUR DREAMS! It is Our pledge to establish long lasting relationships with our customers by exceeding their expectations and gaining their trust through exceptional execution. We have several different types of shingles and roofing materials for you to choose from. Trim and accessories are available in a full range of styles and complementary colors. Alcraft, Inc. has access to almost every major manufacturer that design custom products. Alcraft is part of the “Home Improvement Guaranty Fund” which will reimburse a customer up to $15,000 who are unable to collect for loss or damage suffered from a registered contractor’s performance or offer to perform a home improvement. At Alcraft We Want Quality to Be Your Focus. Our experienced team is ready to help turn your dreams into a reality. Our specialists are experienced and trained personnel capable of handling all of your remodeling needs. We have representatives that have been in the industry for over 30 years. With that kind of experience, we are certain that we can definitively meet all of your wants and needs. Backed with the best LABOR and PRODUCT warranties in the industry, ALCRAFT has the utmost confidence that your home will be taken care of before and after the work is completed. 100% financing available! With Multiple Lenders, we are able to offer the best rates and options to all our customers. I’m writing to let you know how pleased I am with the windows which were installed in my home in June. The work crew can also be commended for the way that they completed the job in a very neat and timely fashion. The way they did the work made it very convenient for us. Again, I wanted to thank you for an excellent job. I wanted to thank you and everyone that was involved at Alcraft for making my dream come true. For many years I pictured how I wanted my house to look. When we it finally became possibly for me to make those changes, the hardest decision was to find a contractor whom I could work with and most of all trust. As you know I was having a lot of work done. I would have thought that many contractors would look forward to such a big job. I was beginning to think that the work would never get done until I finally connected with Alcraft. That was when it came all together. 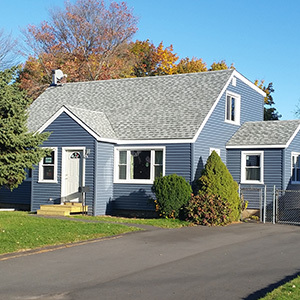 We are pleased with the new vinyl siding that you installed on our home. We started to receive compliments on our home before the job was even completed. The workers did an amazing job and were extremely timely. I was happy to see that they took the necessary time on some of the harder spots of the home.